León, Mexico | On November 18, 2016 (4.30 PM local time), passed away Gabriel Olivares Frías, 33°, Sovereign Grand Inspector General and active member of the Supreme Council of Mexico. Brother Gabriel was provincial delegate for Guanajuato. His death left bereaved his family, friends and the Mexican Masonic community. Bucharest, Romania | Nicolae Licareţ (born on September 24, 1943 in Bucharest), Artistic Director of the George Enescu Philharmonic, died today at Floreasca Hospital (around 2.30 PM). For nearly half a century, Licareţ was one of living spirits of the Romanian Athenaeum. 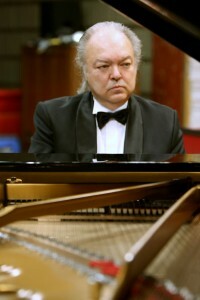 He became a member of the Bucharest Philharmonic in 1968, and on January 1, 1991 he was appointed Artistic Director. For his artistic labour, Licareţ received awards from the Romanian state, French and Italian states. Nicolae Licaret was a Freemason, Sovereign Grand Inspector General and member of Rotary. Almaty, Kazakhstan | Today took place the installation ceremony of the Grand Lodge of Kazakhstan, in the presence of the Grand Master of the Grand Lodge of Russia, under the leadership of Grand Master Berik Z. 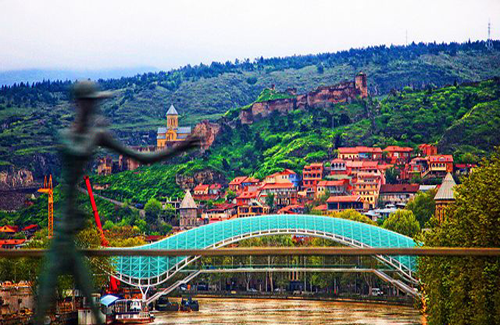 The ceremony was held in Almaty (Alma-Ata), the largest metropolis in the country and the main economic pillar, former capital of Kazakhstan between 1929 and 1998. The Grand Lodge of Kazakhstan consists of four Lodges. The first Masonic Lodge in the history of this country was founded on September 19, 2015 in Almaty, with the help of the Grand Lodge of Russia, the event being attended by Freemasons frm Russia, Georgia and Belarus. On November 8, 2016 took place an extraordinary session of the Council (Consilium) of the Masonic Agency, chaired by the President of the Council (Praesidens Consilium). The Council was convened by the President after repeated requests for public intervention against the anti-Masonic actions of the Government and Parliament in Sofia, Bulgaria. The Council of the Masonic Agency decided to invoke Art. 2 of the Constitution to intervene publicly in favor of the Bulgarian national Masonic community, considering the actions of the two institutions as unjust actions against Freemasonry. Unfortunately, given the political conditions, no leader of Freemasonry in Bulgaria had until now any official position regarding these actions, even if their role is to defend the Order. The Council of the Masonic Agency decided to inform the Masonic international community, in the next period, and to provide insight into the real situation in Bulgaria. The Masonic Agency will present anti-Masonic statements of MPs, some ministers and former ministers of Bulgaria and a number of laws that oblige members of the Bulgarian Freemasonry to declare their membership. Tbilisi, Georgia | On October 22, 2016 was held the Annual Communication of the Grand Lodge of Georgia. On this occasion took place the installation ceremony of the new Grand Master in the person of Irakli M. and Grand Officers for a term of three years. Within the framework of the Annual Communication, the Grand Lodge adopted a new code of ethics, as well as amendments to the Constitution. It also established new objectives and policies. The event was held in Tbilisi, informs Grand Secretary Lasha G.
EXCLUSIVE | Interview with the first (woman) Grand Master in the history of the Republic of Uruguay, Alicia TOYOS | This interview has an exclusive character, being part of the Exclusive Collection of Interviews of the Masonic Agency. The republication (total and/or partial publication) of this interview is strictly prohibited. Copyright © 2009 - 2016 Masonic Press Agency. All rights reserved.